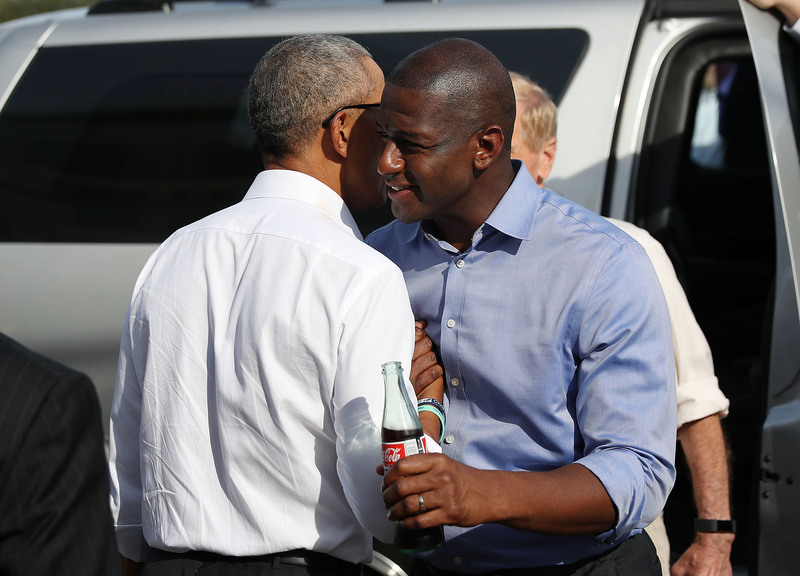 Defeated Florida Democratic gubernatorial candidate Andrew Gillum sat down with former President Barack Obama on Tuesday, launching speculation that he may be another Democrat added to the already long list of those considering a 2020 presidential run. Gillum met with the former president while he was in Washington, D.C., to address the Leadership Conference on Civil and Human Rights, according to CNN. While speaking at the event, he dodged answering questions regarding his presidential aspirations. Prior to his ultimate defeat, Gillum, the former mayor of Tallahassee, Florida, faced backlash on a variety of fronts, including his anti-police stances and ties to anti-Israel and anti-Zionist organizations. Gillum’s campaign had been fraught with scandals from the onset. Tallahassee City Hall has been under FBI investigation since as early as 2015 as part of an ongoing corruption probe. Records were released in October showing that an undercover FBI agent gave him tickets to a Broadway show, undermining his claims that he received the gift from his brother. He notably sat down with failed U.S. Senate candidate and Democratic Rep. Robert “Beto” O’Rourke of Texas in November. O’Rourke publicly revealed a week after their meeting that he was considering a presidential run despite consistently claiming that he definitely will not be running for president.